NEW! 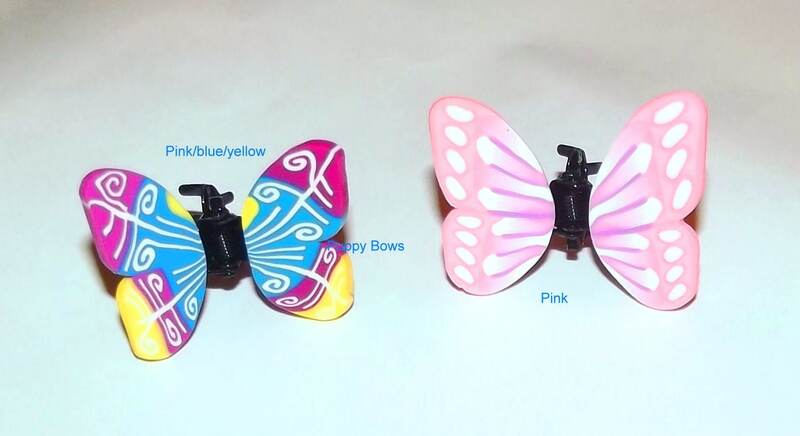 Cute little butterfly hair jaw clips. The pinks measure 1.25" x 1" and the blacks measure 1" x .78"
Sooo cute and great quality too! I'm going to order more.